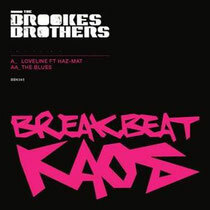 The BBC Radio 1 & 1xtra playlisted ‘Loveline’ by The Brookes Brothers drops this Monday, having already received great support from the likes of DJ Fresh, Zane Lowe, Annie Mac, Dev (Record Of the Week), Friction, Fearne Cotton, Bassline Smith, Nextmen, Jaguar Skillz, Matrix & Futurebound and many more. 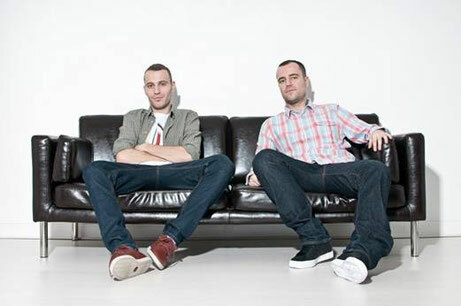 Having dropped their debut album back in 2011 there’s been little stopping the Brookes Brothers since, touring the world and dealing with a constant influx of remix work. Vocoded lyrics of Haz-Mat drench the sun-kissed intro of ‘Loveline’ as smooth power chords set you up for some pure unadulterated mayhem. Dropping furiously into possibly their sleaziest bassline yet, this is a huge piece of good time, disco-infused beats and bass that’ll ramp up any party. Moving on and the boys lose the disco vibe, instead opting for ‘The Blues’. Drawing influence from the original work song sample things get grimey for the floor with smashing drums and a welcome smattering of trademark Brookes synth stabs. It’s when the killer funked-out b-line thuds in that it really takes shape though.